“This is an interesting dilemma for sure. I know that I would NOT be willing to have higher scores, shorter drives etc over the short term for longer term gain. Things are great as I had the extra few months of practice to try all of these things. It was frustrating for sure, however most of these months I was playing alone and had lots of opportunities to hit many shots without holding up others. Grip change has been the greatest change for me as it ensured that my hands (therefore club face) are square at impact. I have learned that the back of my front hand is simply the club gave – where this hand points so does the club face at impact. Not many draws or hooks any more and certainly there are no slices. Sometimes I find myself aligned incorrectly when playing other courses, however normally the ball flies on a straight path right or left and not due to hook or slice – I can accept this, however it is rare at my home course as I know where every tee box location fits my address position. Having the few extra months has been like a 4 month practice session, however if I had the Canadian golf season, I would be reluctant to change anything – perhaps one thing of this magnitude each year. What a great story! His tale is not uncommon for all golfers wanting to play better. He actually took steps, endured the frustration, and as a result is playing better. I am not sure I want to give him any strokes next time we play, but that will be negotiated at the time. I think the word sandbag may be floated around regardless of what we decide. Interestingly, my friend said that if it was not for playing year round, he would not likely have made as many changes to be a better player. I can appreciate his point, but would counter that the process would be slower and possibly less painful. A big thank you to my buddy for sharing his story! Conquering your ego always starts the same way….make the decision to change! The rest is just details. Ego is your best friend and your worst enemy! Ego helps drive our dreams and at the same time hold us back. 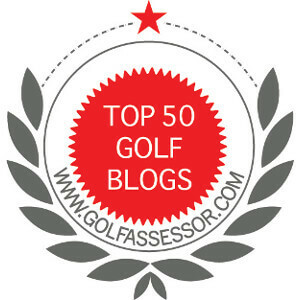 Is it possible that ego could be the magic bullet that can morph your game from average to fantastic? The quick answer is yes and here is how. Ego is the furnace that heats the dreaded fear! It is the great inhibitor that stops golfers from achieving their goals and releasing the great golfer locked inside their body. 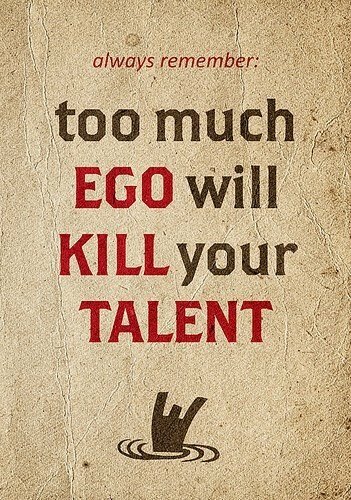 Many would argue that ego does not play any part in their game. They would state categorically that they are in total control of all aspects of their game and could improve all aspects if they desired. Would you be willing to lose 20 yards on your drive for one month to increase your overall distance by 20 yards if it meant your scores would increase by 5-10 strokes for three weeks? Would you be willing to change your grip to improve accuracy if it meant that for two months you would struggle with finding the fairway? Would you be willing to change your approach to course management if it meant months of frustration, but eventually your new approach lowers your score? Are you willing to examine your game, decide on a corrective course of action and work at it indefinitely knowing that eventually it would lower your score? If you answer yes to all these questions, then congratulations you are one of the rare few whose ego plays no part in their game. If you answered no, then you are in the majority of golfers who like the idea of changing their game, but are unwilling to follow through. Through the years I have talked to many players who took lessons from their local professional only to find that they reverted back to their old ways because the advice was just not working. After a casual conversation, they found the process to frustrating and decided to work out their challenges in other ways. This particular situation is nothing new and without realizing it, the players let ego stop them from becoming a better player. Personally, I have experienced many attacks from my ego. In my early years, ego ruled my golf game. My focus was on hitting the ball hard and long regardless of direction. Finally, when the frustration factor grew to high, I would try to make a change. After losing distance, I immediately reverted back to my grip it and rip it approach because I could not accept being 25 yards behind my playing partners. I seemed to overlook the fact that I was in the fairway and still had the same score. My ego blinded me to the success of hitting the ball straighter and in the long run improving my game. Fortunately, age and experience has helped me conquer my dreaded ego – most of the time! During this year’s drive for scratch, I will see many conflicts with my ego. Fortunately, I am aware of the this beast and ready to do battle. My first battle will be to improve the performance of my 3-wood. At one time, it was the best club in my bag, but over the past couple of years it has become erratic and unreliable. I took my 3-wood granted and paid the price. The use of this club is critical to scoring low because I am not a long hitter and need the 225 yards (or more on a good day) on the par 5 approach shots. If history repeats itself, this focused change will be both frustrating and rewarding at the same time. Regardless, I will not let my ego stoke my fear and prevent me from improving my game. I expect it will take two solid months before I will feel comfortable and doubt-free when hitting my 3-wood. This time will be well spent and for the greater good of my game. Ego is your best friend and your worst enemy! This year, I have decided that ego is going to be my best friend! It is a constant battle, but those with the desire to improve will conquer their ego and elate in their success.